The SIP Protection Chainsaw Gauntlets feature an extended cuff lined with anti-cut material to provide outstanding protection for the hands and forearms. 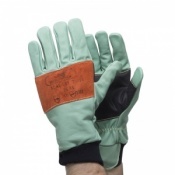 Chainsaw safety lining runs from the top of the hand to the end of the cuff, making the SIP Protection Chainsaw Gauntlets suitable for heavy and extended chainsaw use. The 100% leather gauntlets are also oil and water repellent and use reinforced Kevlar/aramid stitching for added durability. 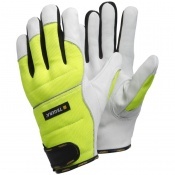 The gauntlets are also suitable for general horticulture as well as the heavy-duty forestry tasks listed above. 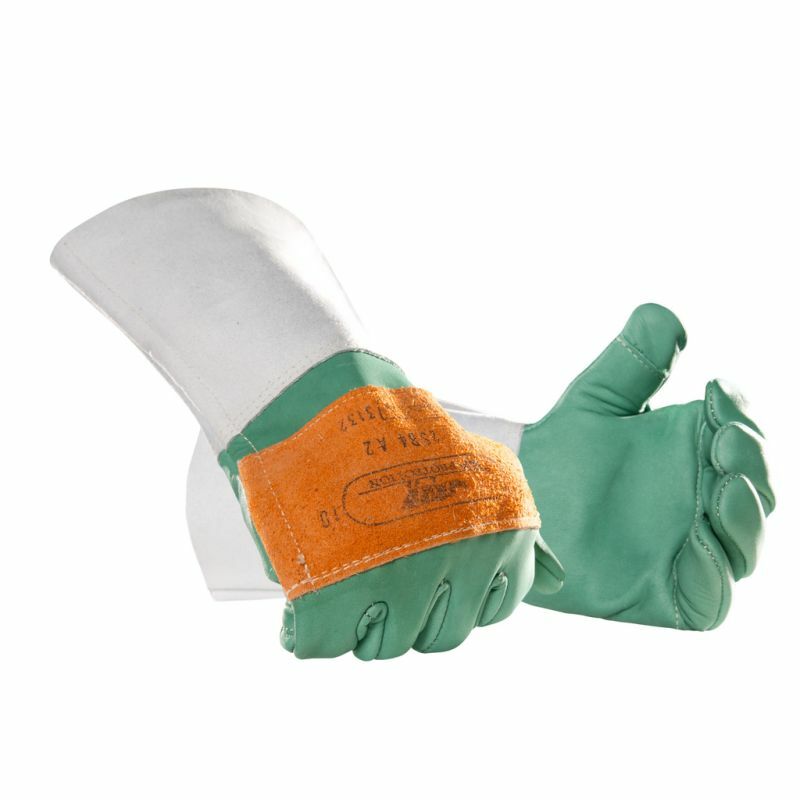 The SIP Protection Chainsaw Gauntlets measure 18cm from the wrist to the end of the cuff, providing protection for more than half of the forearm. Anti-cut chainsaw lining features in the gauntlets from the top of the hand to the end of the cuff and is complimented by extra leather padding on the top of the hand. The SIP Gauntlets have been tested according to EU regulations governing chainsaw protective clothing – known as EN 381-7 – and scored very highly. The gauntlets achieved a 'Class 1' rating, meaning that they will resist cutting even when in contact with a moving chainsaw up to a chain speed of 20 metres per second. 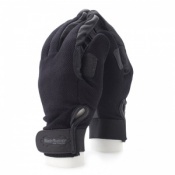 The gauntlets are made from 100% full grain leather which varies in thickness between 2mm and 2.2mm and are given a hydrophobic treatment to ensure they are water and oil repellent. Strong Kevlar/aramid stitching is also used to reinforce the seams, with Kevlar's tensile strength more than twice that of nylon and polyester with less elasticity. The gauntlets score highly in the abrasion and tearing tests as this is the most common risk associated with forestry machinery.